At Original Soul Vegetarian, we seek to offer a one-of-a-kind culinary	experience for vegans and health aficionados throughout the Chicago area. 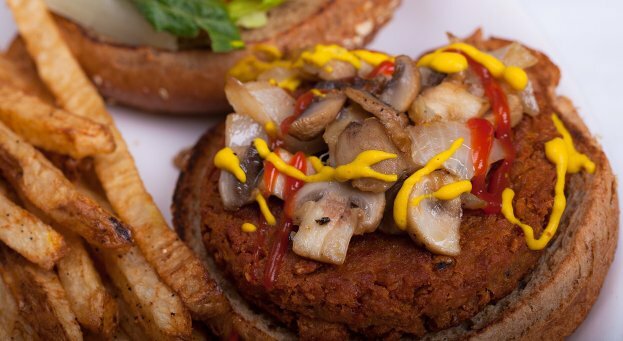 For the past 30 years, we have offered food that is both healthy and delicious—winning	the praise and consistent patronage of vegetarians and non-vegetarians alike. If you are looking for a place where you can go big on flavor without compromising	on health, it is time that you visited Original Soul Vegetarian. In everything	that we do, we promote the regeneration of our environment; we create	food that is 100% plant based and completely free of animals and chemicals. Our food also uses no refined sugars, flours, or rice—allowing you	to indulge in taste without the guilt. From appetizers to sandwiches to platters to salads, we have everything	you need to satisfy your appetite at Original Soul Vegetarian while walking	away feeling light. If you are looking for a new restaurant to try in the Chicago area, then	we encourage you to come visit us today! We have won the PETA Award for	Catering, a Zagat Award for Food & Service, and were even named as	the City’s Best Healthy Dining Restaurant by the AOL City Guide, Chicago. To learn more about our food, our services, or our mission, do not hesitate	to visit our location or give us a call at 773-224-0104.